Climbing Stump Farm is a 156 acre farm in East Central Minnesota owned by Mark and Randi Johnson of Harris. A tree farm for decades, our hardwood and pine stands have been actively managed for lumber production. The name Climbing Stump has its origin in the stump(s) that the Johnson children played on as they were growing up. In 2013, we purchased our first Scottish highland cattle, five heifers and three pregnant cows. Since then we have been steadily increasing our numbers and currently have over fifty. The cattle are managed by our son Joe for seed stock and beef production. Our animals are raised on grass, legumes, hay, soybean hulls and browse. We practice rotational grazing during the growing season, and with the exception of the chemicals that may accompany the forage seed and hay we purchase, our fields have been free of herbicides, pesticides and synthetic fertilizers for over thirty years. 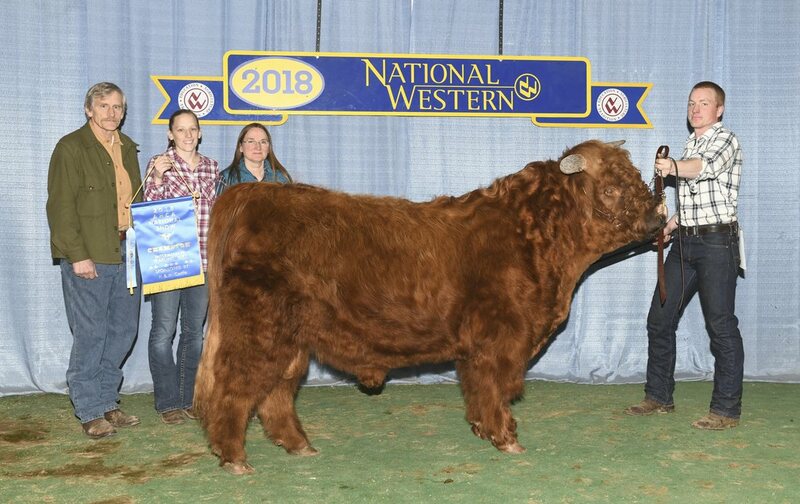 We have beef and breeding animals for sale throughout the year, and we try to participate in both shows and auction sales each year.